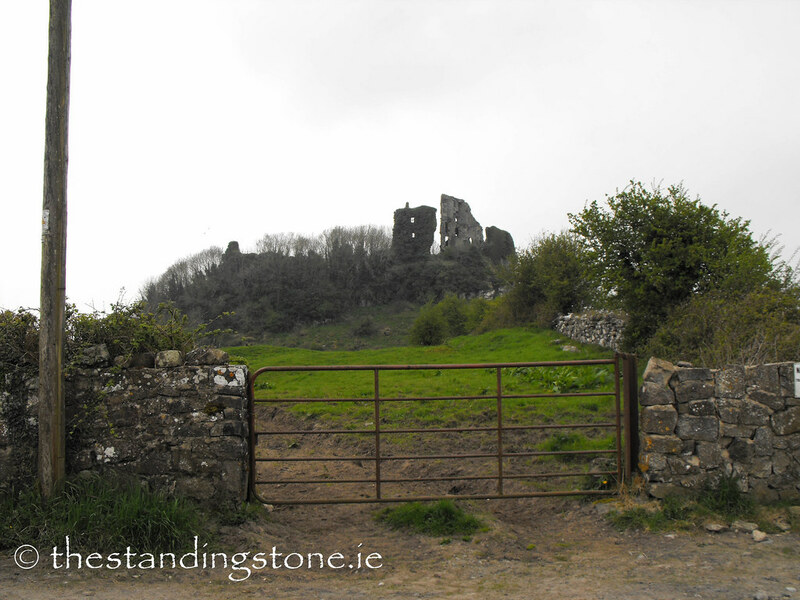 The Standing Stone: Carrigogunnell Castle, Co. Limerick. 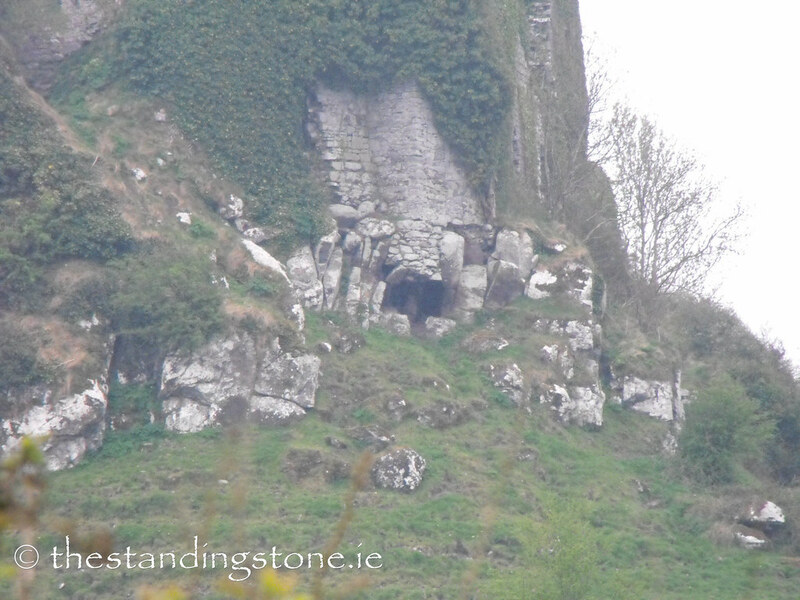 Location – West of Limerick city, near Clarina, not far from the N69. Description and History – I’m extremely disappointed with my coverage of this site and I have put it up because these pictures have been sitting on my computer for nearly 5 years and I wanted to do something with them. Now that I’ve looked at them again I realise that I need to make a return visit. I visited here at the end of a long day and just couldn’t find the access route to the castle and I eventually gave up. The area in which the castle site originally belonged to the King of Thomond but later passed into the hands of the O’Briens. It is unclear as to who built the castle but it was built sometime prior to 1536 when it first appears in records. However, the present remains appear to date to the 13th or 14th century but based on the architecture I would favour a 13th century date. 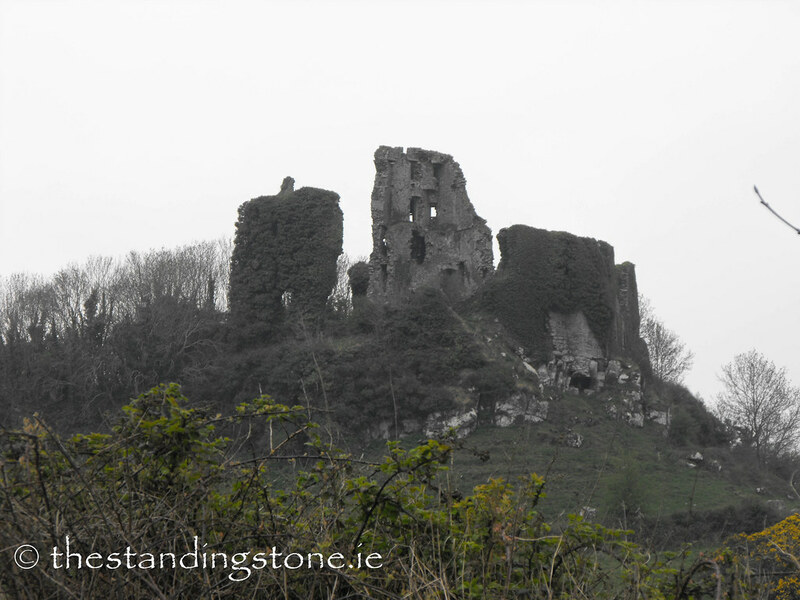 It has all the hallmarks of a Norman built castle, but there is some evidence to suggest that it was built by the O’Briens in the mid-15th century when they took over the area during the Gaelic resurgence. This would seem late to me as this is when tower houses were coming into fashion and the grand castles of the Norman period were no longer being build. The present remains are a bit of a mess as it was destroyed by English forces following the second siege of Limerick in 1691. 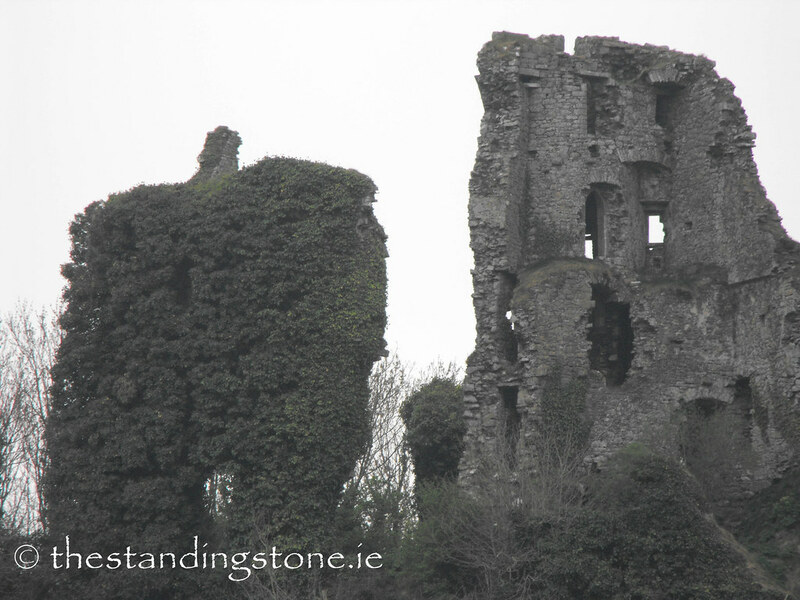 They used gunpowder to destroy the castle which left the base of the rock on which it stands littered with architectural pieces and bits of spiral stairs. The castle had been occupied by 150 of James’s men. 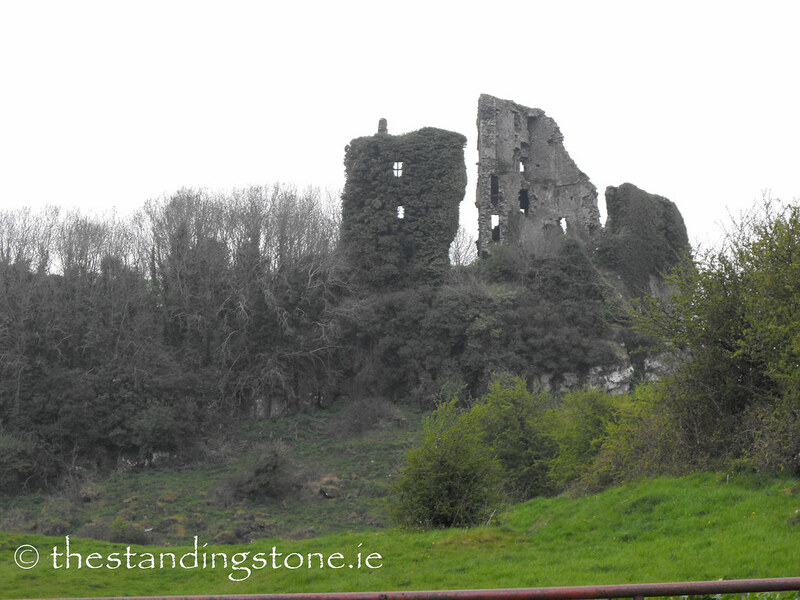 Under the Lieutenant-General Scravemore the castle was taken and the 150 taken to Clonmel as prisoners of war. Later that year the castle was destroyed. The present remains consist of the remains of a five-storey tower with a later adjoining house and various other buildings. 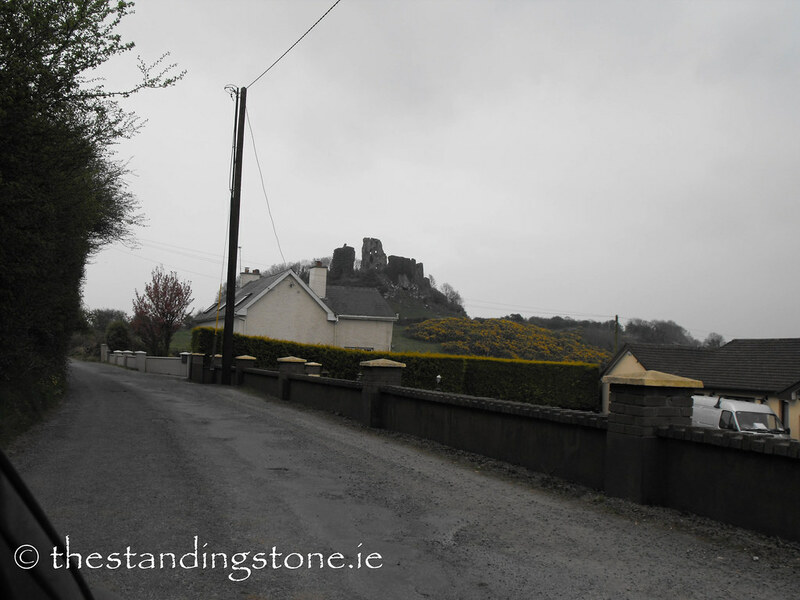 The name, Carrigogunnell, means the ‘rock of the candle’ and refers to folklore surrounding the hill on which the castle now site. It was supposedly the dwelling of a giant hag who would light a candle on the rock every night. Anyone who looked at the candle would die by morning. A hero named Regan broke this curse using a magic cap that was given to him by Luno of Liochlin, the magician. 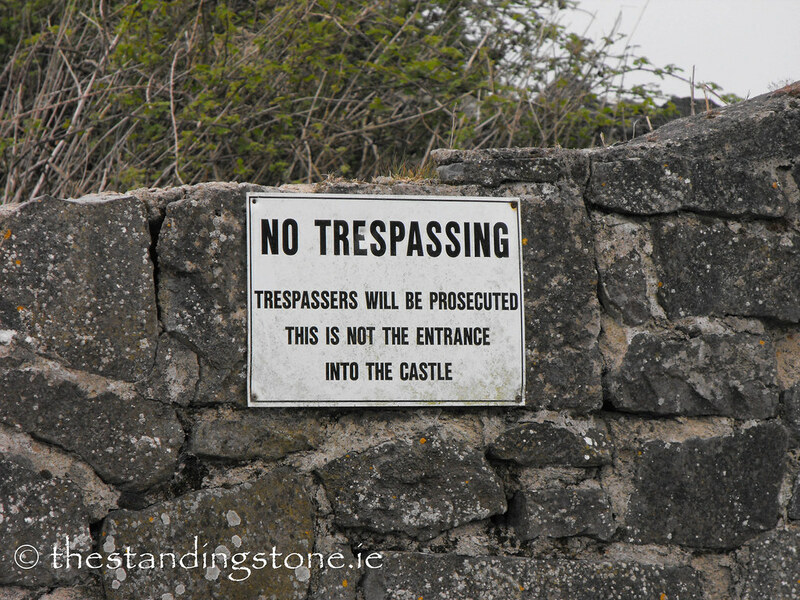 Difficulty – Finding the access route is tricky and there are clear no trespassing signs on the surrounding fields. I later learned that there is access to the castle site, but I have to return to find out where it is. This is about as close as I could get. This castle is in dire need of conservation work. In places there is nothing holding it up. This kept me away that day. It's important to respect these signs.